In Percy Jackson and the Last Olympian by Rick Riordan with pages, Kronos is back in one piece and this time he's certain to win with the Gods distracted by Typon, a hundred headed beast. Percy gathers all the Demigods willing to fight Kronos's massive army. In the end Percy manages to defeat the Titan Lord's army and peace is restored to Mt. Olympus. The Horseman: Represents the conflict, the Titans are at war with the gods. 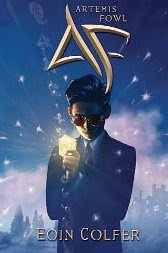 In Artemis Fowl and the Eternity Code, by Eoin Colfer with 305 pages, Artemis has a meeting with a very powerful man about his new invention. The man tricks Artemis and gets away with the invention and during the fight Artemis's best friend Butler is shot. Artemis with the help of his fairy friend is able to bring Butler back to life. Artemis teams up with the fairies to get the invention back, but it wasn't going to be easy. 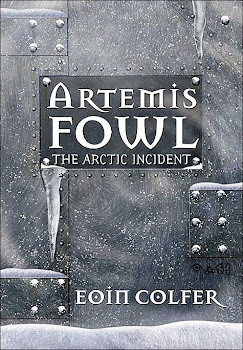 In Artemis Fowl the Opal Deception by Eoin Colfer, with 339 pages, A pixie named Opal Koboi is back for revenge on anyone who helped stop her previous scheme. Opal manages t trick the fairies Julius Root and Holly Short into waking into her long thought plan. Julius Root is killed and the fairy views watching had no audio so Holly is a suspect for murder. With the help of Artemis and his bodyguard Butler they begin their mission to stop Opal from colliding the world of fairies and the humans. Artemis and Butler had recenly been mind swiped and Holly tries to get Artemis to remember so he can think up a plan to stop Opal. In the end Artemis, Holly, Butler, and a gnome by the name of Mulch manage to stop Opal's plan and save the world. Percy Jackson by Rick Riordan, with 357 pages, Percy has to go through the Labyrinth, a Greek maze, and find Kronos and his army ( the Titan Lord.) Percy has to go with a human that is not a half blood, but a human that can see through the mist, a mist that covers Greek monsters. Percy and his group finds the god Pan and the wild is with all of them when Pan vanishes because he is a minor god. Percy and his friends later find the creator of the Labyrinth and in the end Percy finds out Kronos's army is coming to take over the Camp and the destroy the Gods. In Percy Jackson and the Titan's Curse, by Rick Riordan with 312 pages, Percy goes on a quest to stop the Titan, Atlas. Percy later finds the Titan in a room, making an army of skeletons. Percy later stops Atlas with the help of Atlas's daughter. In the end Atlas is imprisoned with the weight of the sky on his shoulders.